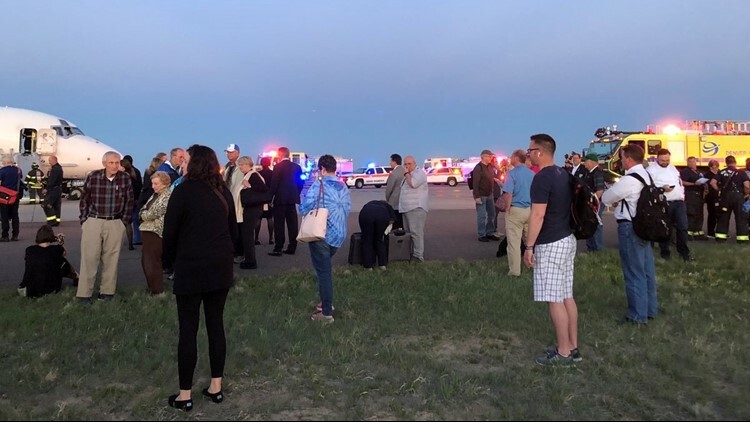 According to the Denver Fire Department, firefighters assisted with the evacuation of a plane at the Denver International Airport Tuesday night. An inbound Delta flight from Detroit was evacuated after landing Tuesday night at Denver International Airport, according to airport staff. One person was taken to University Hospital with no word on their condition, a spokesperson for Denver Health said. Airport staff said Flight 1854 landed and was on the taxiway when the cabin filled with smoke. The passengers were bussed to the terminal. AJ Davidson, who said he was on the plane, told 9NEWS as soon as the plane landed it began to fill with smoke. "Everyone was kind of yelling, like, 'Hey, there's smoke coming out of the vents. What's going on? Open the doors. Why aren't the masks dropping down?' ... After a couple of minutes, the flight attendant was like, 'Everyone get low to the ground and cover your mouth with a blanket, or clothes, or whatever you have.' And maybe a minute later, they finally made the call to evacuate the plane. And she yelled, 'Evacuate the plane,' and seconds later, the doors popped open. We all jumped down the slide and got out of there as fast as we could." 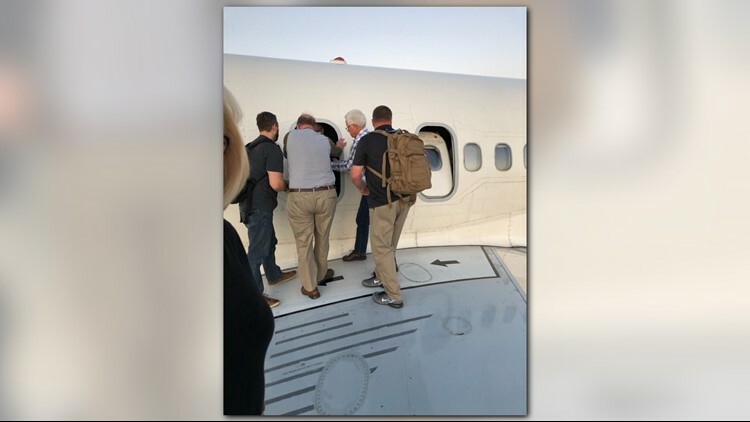 Delta released a statement just after 9:15 p.m. confirming passengers had to deplane via slides and over the wing, after smoke was seen in the cabin. "Airport response vehicles met the aircraft out of an abundance of caution and customers were transported to the terminal via buses," the statement said. "The safety of Delta’s customers and crew is our top priority and we apologize for the concern this situation has caused." According to DIA, they took a report of a fire on the plane earlier in the evening. A tweet just after 10 p.m. indicates that there were no flames, and the airport is back to normal operations. FAA's records show this plane is a Boeing MD-90-30 that was built in 1998.